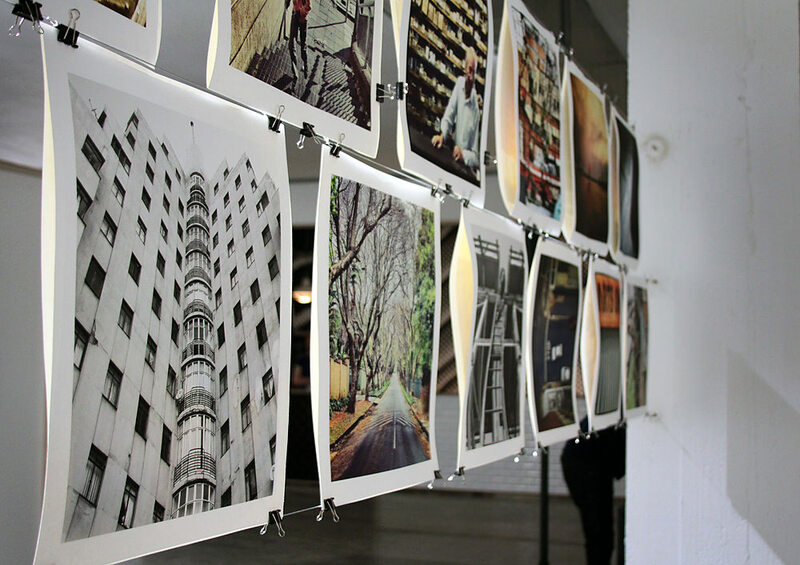 On Saturday I went on an “Instawalk” with a bunch of Joburg Instagram photographers. Their informal leader, @roywrench, invited me to submit my best Jozi Instagram pics for an exhibition being organized as part of the I ART JOBURG project in Maboneng. 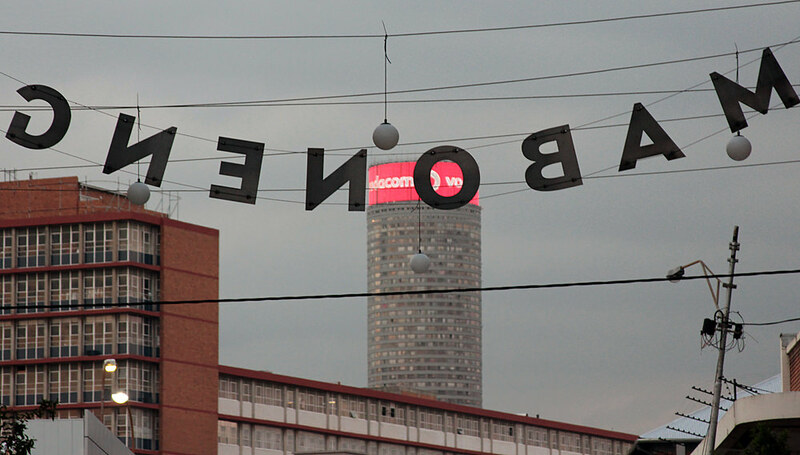 I’ve been struggling for weeks to get a good shot of the Maboneng sign on Kruger St. I finally figured out that I needed to shoot it from behind. Last night, I stood in a rad exhibition space called AREA3, face-to-face with my own Instagram and several dozen other mobile images. Rows and rows of beautiful paper squares, each square telling a unique Jozi story. An Instagram of my Instagram. That’s the @2summers shot of the Ansteys Building, bottom-center. I went back to the exhibition this morning with a friend who wasn’t able to make it last night. I took a couple more Instagrams of the Instagrams. I loved this exhibition. I loved looking at each image individually, and at all the images together. I loved meeting the Instagram photographers whose work I’ve been admiring on my iPad for the last several weeks. (Thanks to Andile for introducing me around.) I loved that I was part of it all. The guy standing on the left is my new Instagram friend @btherad. 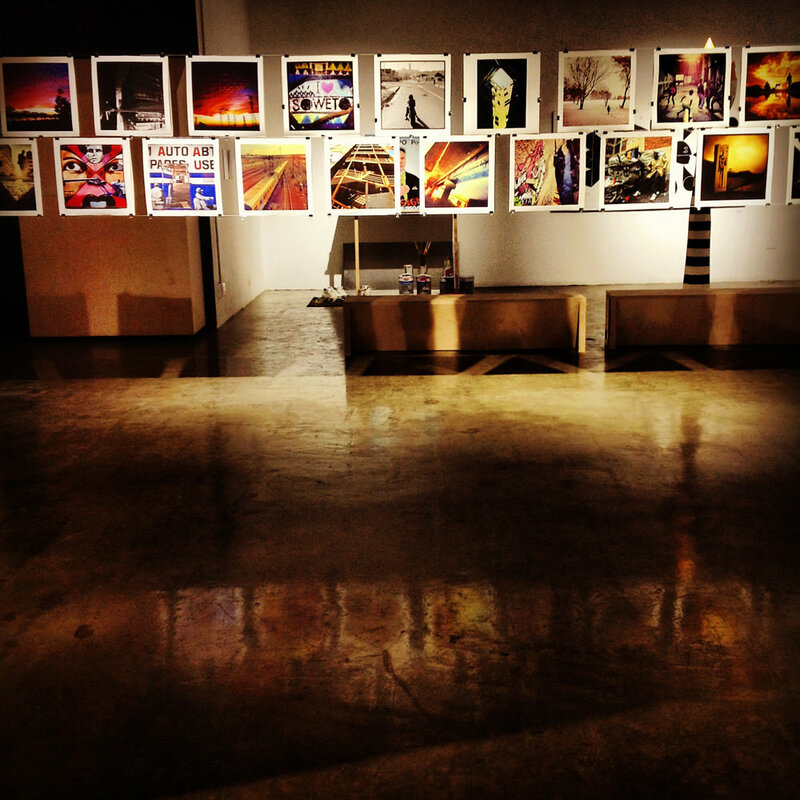 Accomplished Instagrammer @garethpon takes an Instagram of an Instagram. This is the only shot I got of @unclescrooch, another legendary Joburg Instagrammer. His photos of the Jozi sky are breathtaking. That’s the back of @unclescrooch’s head. Sorry @unclescrooch, not my best work. Hewny, whoever you are: Thank you. My only regret is that I did not take an Instagram self-portrait of myself at the exhibition. That was dumb. I will remember next time. 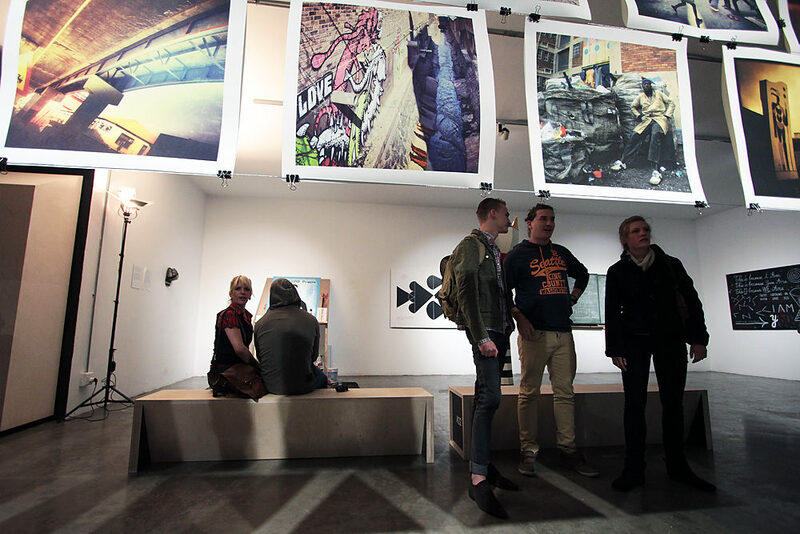 Thanks to @roywrench and everyone else who helped put this exhibition together in record time. It was a fantastic evening. 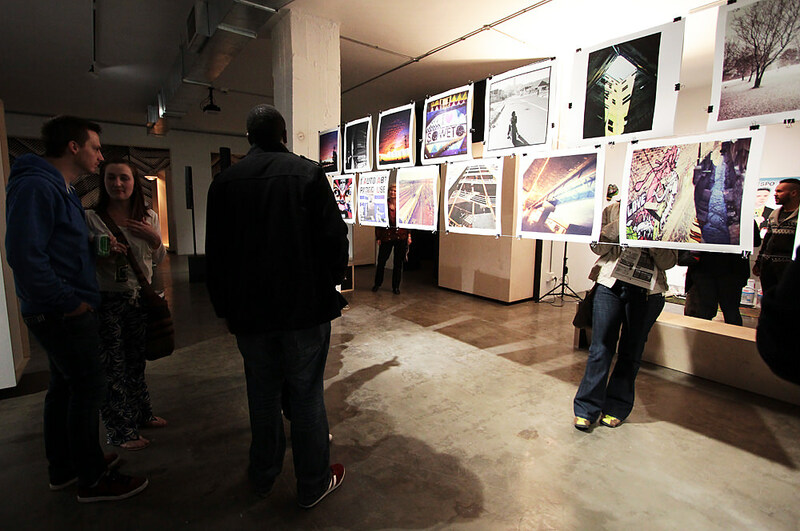 And for those of you who didn’t make it last night, the exhibition will be up through December 5. Go check it out. 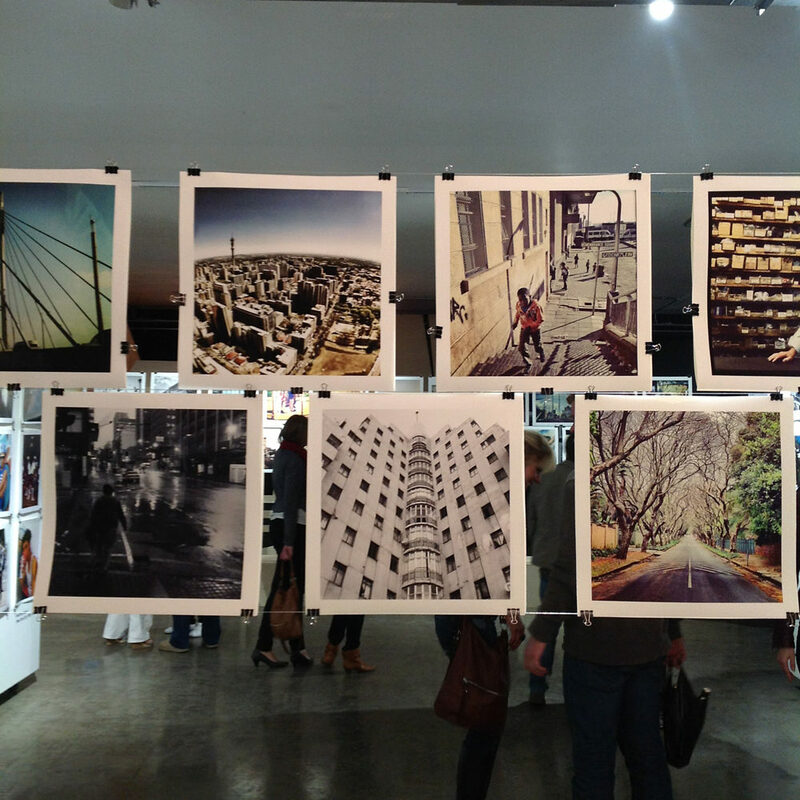 There are lots of great photos for sale and they make lovely Christmas presents. Well done it is an awesome photo, will pop in to see the exhibition soon. Thanks Gail, see you tomorrow. Hi Heather. Congrats on being included in the exhibition. Also got a photo of mine in but submitted it too late for inclusion 🙁 So bummed I couldn’t make the opening, but will definitely check it out in the coming weeks. 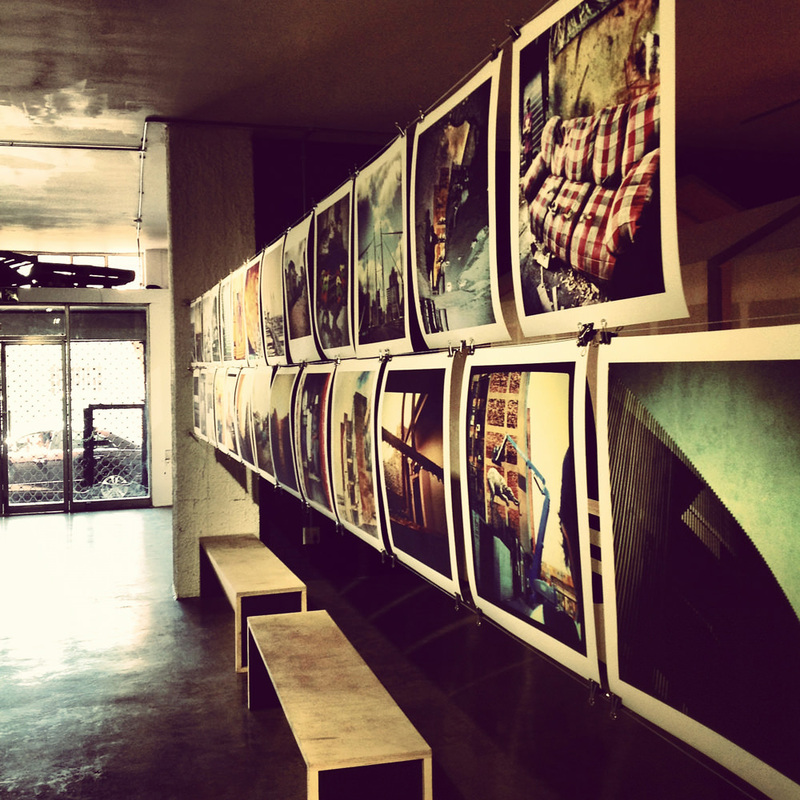 The instagrm pics looks awesome printed, really inspired me to get some of my instagrams printed on paper. Hey Emily are you on Instagram? I want to follow you! Hey- I just started following you. I`m EmilySmithCannell. Love the pic of the boys playing in that stark warehouse looking area. Cool, I’m following you now too. And thanks — I took that photo in the basement below the Hillbrow boxing gym yesterday. 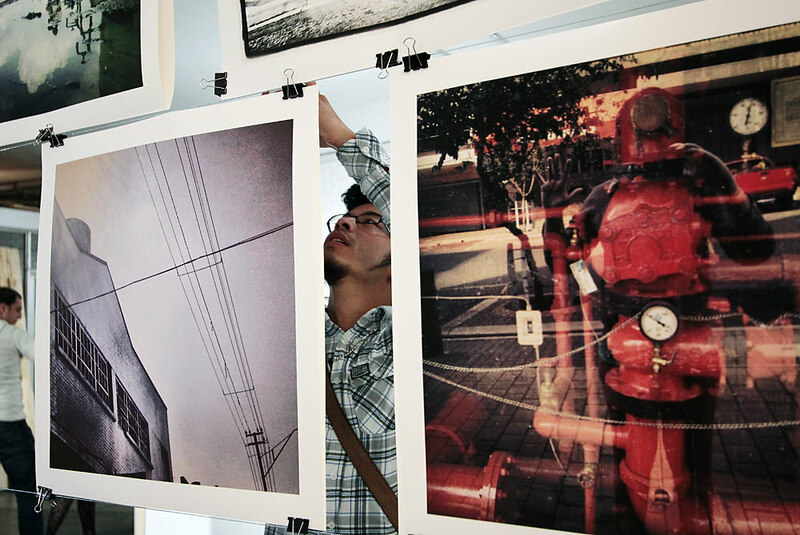 I will gladly take your portrait with your print. Will let you know when I’m going back with some friends, maybe we can meet up for a coffee? Really enjoyed being part of this amazing event, It didn’t only allow us to be tested creatively) but brought people together under one roof and to look at our environment differently., for that I’m happy. Joburg you are amazing.